May 10, 2018 – Hyundai is taking people on a journey through a ‘Timeless Ramadan’ this Holy Month, in a series of short films being shared in the Middle East and North Africa. The three films offer a sentimental view of some of the unchanging Ramadan traditions that pass down through families, creating everlasting memories that resonate across the years. The stories catch simple moments during Ramadan, and particularly those times that encompass a spirit of sharing and giving. Each film between the present day and the times of the past to show how these eternal memories remaining constant through the years. As the films bring Timeless Ramadan to life, we see that traditions passed to us from our grandparents and parents, we in turn pass to our children, forming a special and unique thread between generations. 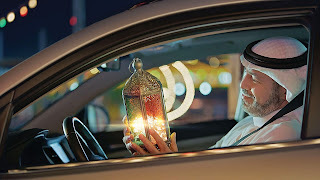 This is the third year Hyundai in the Middle East has produced a short film series for Ramadan. In 2016, a series titled ‘Al Barakah’ followed the theme of Ramadan Blessings. In 2017, ‘Ramadan Everywhere’ visited various Arab countries to look at local Ramadan traditions. The first story in ‘Timeless Ramadan’ is now online, with the second to be shared from 1st Ramadan, and the final story for Eid Al-Fitr.